What’s your approach to language arts? A Faceted Program Utilizing Varied Resources. Keeping Students Interested & Motivated! In the younger years, our language arts take a multi-faceted, interactive approach. From Pre-K to 2nd grade include resources that encourage active learning. For instance, both the Basic Phonics and Advanced Kindergarten language arts programs use a hands-on activity pack that has dough, macaroni pieces, sand, string, and more. The activity pack includes a list of activities that teach phonics in imaginative and fun ways. Other resources reflect this active approach to learning the language arts skills. As the language arts programs progress beyond reading and comprehension skills, they add studies of grammar, cursive handwriting, vocabulary studies, and spelling. In the middle and early high school years, creative writing is practiced and the student’s communication skills are refined. Great literature is included in junior and senior high packages in increasing amounts, exposing them to wonderful classics and offering them discussion and evaluation opportunities, including on our online forum. All of our language arts programs include readers and a guidebook whose creative writing assignments coordinate with the basic programs. 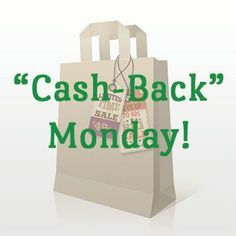 This means you need to order the correct package to coordinate with your basic study! Educators recommend the additional reinforcement that cross-curricular studies offer. We offer several language arts programs and accompanying reader sets to coordinate with main programs targeted for younger learners. Just another way to keep your family learning together, with the perfect options for each student. What order of programs do you recommend? 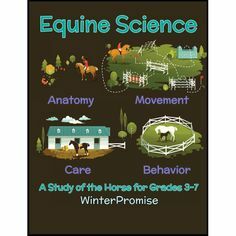 We have included here what we call the “perfect” WinterPromise sequence, although for homeschool families, there’s usually no such thing. For one thing, most homeschool families have several students, and thus choosing an order for the programs they complete is linked closely to their mix of students. This “mix” of grades and abilities rarely results in the “perfect” anything, but for families wishing to know what an ideal sequence would look like, here it is! In deciding upon a sequence for your family, it is best to start with a program that is in-between your students’ ages and plan to adjust the program as needed for their ages. The programs are designed to be flexible in their appeal to different ages, and they can be made easier for younger students by not completing as many of the assignments or moving at a slower pace, perhaps even making the program last two years instead of one. On the other hand, the programs can be made more difficult by upping the level of performance on the assignments, adding extra reading, or requiring more of the assignments to be completed. It is, generally, easier to add more to a program than to try to make a program easier — so if you are torn between two options, it may be better to go with the easier of the two choices. 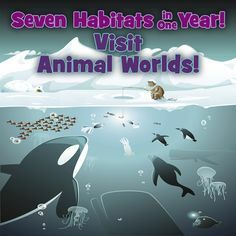 In other words, if you have a Pre-K 4-year old, a Kindergarten student, and a third grader, the best choice would probably be to go with Animals & Their Worlds or Hideaways in History, and plan to make up your own reading list for your third grader with his language arts. You can always add more difficult assignments by taking the ideas in your guidebook and requiring more. You can get a lot of help an insight on what programs work for the ages of your family with our featured resource, “Which Program is Right for Us?” To reach this resource, click on the button by the same name on our home page. There’s a lot of information that will help you create a sequence that is “just right”! How are your programs structured? 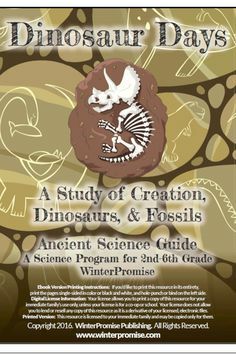 Each of our themed programs has several different aspects: history or science books, pleasure reading, activities, research resources, cultural study, Bible study, additional resource suggestions, map work, timeline building, and notebooking. We have incorporated all of these aspects so that there are plenty of learning avenues for the different learning styles your family represents. The variety means there is plenty to do, and some to discard if it is not working for you. So how do they relate to each other? History or Science Books form the backbone of the program. 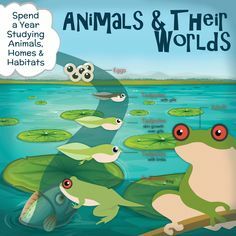 They are living, wonderful books that share the things your student needs to know in an interesting, engaging way. All of our books are chosen because they will capture your student’s interest and get them thinking and interacting as you read them together. Adventure Reading Books are pleasure books that are read aloud as a family. 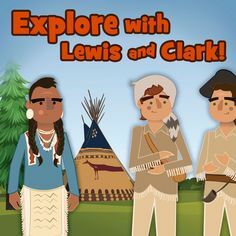 Ideal for any family time, they will draw your student into real life adventures or fictional journeys and help cement the things they are learning in their history or science studies. Activity Ideas are included to help your family make memories. Each program has books devoted to bringing you activity ideas, while some have kits or art books that also help along the fun! Many activities require supplies that would be found in any well-stocked homeschool art cupboard, and recommendations are made to guide you toward the activities that bring you the most fun for the least amount of preparation. Additional ideas are included in your guidebook, too! Research Resources become more common in levels designed for older students. One of our goals is to teach your student to make educated guesses, use research tools, make judgments and summarize important facts. As your student progresses to our higher grades, they will be able to formulate answers to the open-ended questions they’ll find in college classes, analyze ideas and philosophies, and take and defend a position on important issues. Bible Study Resources build Bible knowledge in lower grades, add memorization and application in the middle grades, and get students researching Biblical history and geography in high school. Additional Resources Suggestions pull together other reinforcement tools in your guidebook. These include DVD suggestions, website links, field trip suggestions, and a variety of other media reinforcement. From listening to the Rebel Yell to taking a tour of the Seven Wonders of the World — your student will have the globe at his fingertips. Map Work gets students’ fingers trotting all over the world. Lists of places to locate are sprinkled through books and resources scheduled for you. Timeline Building helps your student grasp how time and human history are woven together, how pivotal events changed the world, and how one happening, discovery, or development led to a change in history or the human experience. We offer timeline figures in each of our history programs and timeline dates suggestions in each of our guidebooks. These figures and other dates are designed to be placed in our “Timelines in History” timeline book. This book includes a blank timeline with dates on each page, as well as headings on each page that describe major civilizations, wars or developments to keep students mindful of what is going on in the world. This timeline book is hole-punched so that student work and our own notebooking resources, the “Make-Your-Own History” series, can be filed within it. Students will collect their art, reports, timeline figures, and notebooking pages to literally “make their own” history book with it! Notebooking is one of the most desirable ways to help your student remember day-to-day learning. 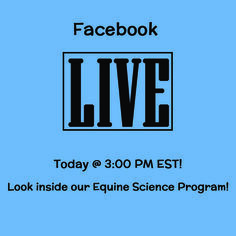 Our “Make- Your-Own” series are informative and interactive! Our pages aren’t like some resources where each page is the same — no, we’ve done the work to offer you many different pages that offer students chances to illustrate pages, write “newspaper” entries, create period placard signs, solve codes, and so much more. It’s a great way to reinforce daily work and a creative outlet for art-happy (and even not so art-happy) students. How does your Notebooking work? How Does Notebooking Work & What are “Make-Your-Own” Pages? Notebooking is one of the most desirable ways to help your student remember day-to-day learning. Notebooking has become very popular amongst homeschoolers as a way for home educated students to feed back about what they have learned. In general, notebooking pages require students to use what they have learned to fill out a page to be kept as a bundle and collected. Notebooking can be fairly streamlined, or can even go so far as to be more like scrapbooking — paper art projects. Colorful pens or colored pencils and other basic art supplies can lead to almost infinite possibilities. Many parents find that notebooking is a great idea, but feel out of their realm pulling it together. Many just don’t have the time. This is why WinterPromise provides a full line of notebooking supplies for our parents. We do the work for you! Our Premium Interactive Journals are the cornerstone of what we do and bring to life all that you learn. “Make-Your-Own” Notebook resources offer pages that coordinate with your themed study. “Timelines in History” provides a blank timeline that serves as a “spine” for the other three supplies. There are several types of notebooking things you provide! Photographs of special times you’ve shared as a family, or field trips you’ve planned can be added as well. Any memorabilia about school or their studies can be included to add to the memory-making aspect of notebooking. What Are the “Make-Your-Own” Notebooks & Premium Interactive Journals? 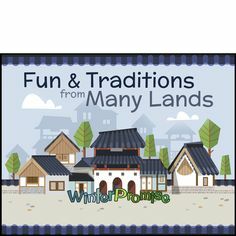 Our “Make-Your-Own” series are exclusive to WinterPromise and are informative, interactive, varied in their learning approach. Our pages aren’t like some resources where each page is the same — no! 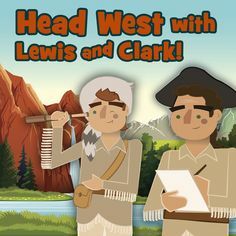 We’ve done the work to offer you many different pages that offer students chances to illustrate pages, write “newspaper” entries, create period placard signs, solve codes, create easy cut-out crafts, investigation pages, interviews and so much more! It’s a great way to reinforce daily work and its a wonderful outlet for art-happy (and even not so art-happy) students. 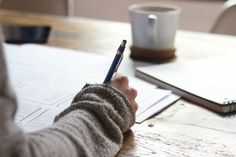 For students who might have to be pushed into writing, these creative pages offer a good option away from more traditional methods. For those who quake at the thought of being creative, the subject matter often lures them in before they know it! And of course, for those who love art, it’s a never-ending supply of great projects. As with all our learning avenues, you can use this resource a little or a lot to tailor it to your students’ needs and desires. Our Premium Journals take the idea of the “Make-Your-Own” Notebooks and take it even further. Often at the center of the Themed Program they belong to, our premium journals bring to life all that you will learn about in your program. Filled with endless kinds of pages, bonus reading and learning content, projects, mini-crafts, creative reinforcement pages and more. These come in FULL COLOR and are often more than two hundred pages in length! 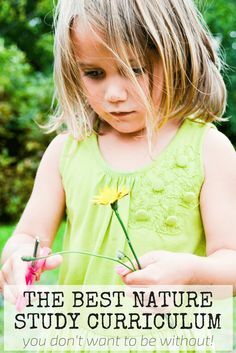 These truly become a part of your family homeschooling experience and appeal to a every kind of learner. The “Make-Your-Own” notebooks and the premium journals are consumable, so you’ll want to purchase one for each of your students completing a themed study. Most homeschoolers come to a point where they must, in their own mind, take a hard look at what traditional educational systems embrace as their philosophy of education. 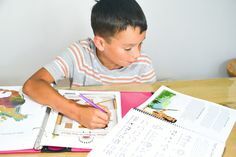 There are so many differences between a traditional classroom setting and a homeschool setting, that what is seen as success for a traditional educational system may not be the same measure of success used for the homeschool setting. For understanding of these differences, let us make a contrast. In a traditional school setting, how can a teacher know if he or she has adequately covered the material and taught it in such a way that the students understand and can use that information? Usually by testing. How can a teacher teach 30 students of different learning styles adequately in one classroom? By teaching them success within the system as their primary goal, and learning as the hoped-for result. How can a school district be held accountable to parents for doing a good job? By being able to show a scope and sequence on paper that “everything has been covered.” These traditional schooling systems clearly have limitations, and are held within the confines of these limitations by their size and their need to have the best “chance” to “educate” most of their students to come out with a fairly uniform student outcome. 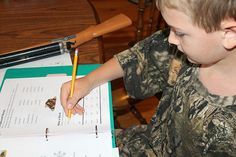 By contrast, a homeschool parent has the opportunity to personally interact almost constantly with their limited number of students, judging student performance and understanding by interaction and discussion, not just testing, and can educate according to the student’s learning style, adjusting when necessary. The base question then comes back to the same one the school system must address – how do you convince yourself and others you have done a good job? Or – better said – how will you measure success? The school system must judge its success by its scope and sequence, and testing scores. However, would you say that this is your definition of a good education? Read and write with mastery of the English language, with skills that will help them in their chosen profession. Demonstrate competence in mathematics in accordance with their skill set, progressing to a point needed for their life’s career. Not only absorb information, but discuss that information, be willing to make guesses or judgments when asked for, draw reasonable conclusions, defend a chosen position, and/or to interact with confidence and humility in an educational setting, with the idea that those skills will be brought into their future career. Put together information in such a way as to make it practical to a life situation, i.e., not to simply know something, but to use it with confidence. Be motivated, in and of themselves, to pursue excellence in studies and in many other areas of their lives. Develop the understanding that self-discipline, perseverance and a hard work ethic accompany any pursuit that is worthwhile, and be known as a person who possesses all three of these character traits. Link up ideas or facts from different disciplines and draw from those experiences or facts a reasonable conclusion, a new idea, a prediction of outcomes or a careful evaluation that leads to reasonable action or responsible inaction. Demonstrate care for the fine and wonderful things in life, putting off evil, and pursuing goals that enrich the lives of others or mankind as a whole. Communicate effectively with a wide variety of people, be able to work effectively with them, as part of a team or an accountable individual, and to decide when to put the needs of others or community ahead of one’s own selfish desires. And most of all, to become an adult that truly enjoys learning, not for the outcome of passing tests or doing well for the approval of another, but for the joy it brings to him, and for the satisfaction of a well-developed curiosity. With these goals in mind, we may perhaps sum up our definition of a good education as a child who has discovered the joy of learning and is pursuing it with excellence. By this definition, we need to foster a different attitude toward our homeschooling than that which is necessitated by a “traditional” schooling system. Schooling with the idea of good testing grades or covering everything is a goal that falls short of most homeschoolers’ measure of success. Although we certainly must provide to our children the basics of the three “R’s,” and in these days, a good education in technology as well, our primary goal is to help them to be self-motivated learners. Start with joy and you will be able to pursue your other goals of education. Once they take joy in learning, they will be motivated, and will learn the value of the education itself. With time, they will add self-discipline, confidence, and perseverance to their joy. No student and no curriculum will ever hope to teach every child everything he would ever need to know for their future. If that were true, we’d never need any job training. Instead, a student needs to learn mastery of the basics and a joy for everything else. Then, he will be motivated and have the skills needed to succeed in life as a confident, continuously learning individual. How does the experience approach fit into that goal? By offering students wonderful and challenging books that are discussed and enjoyed together, many of the skills a parent wants to encourage are fostered every day. Heroes and villains in these books demonstrate outcomes of choices and give opportunities to talk about the values important to the student’s development. Cross-curricular materials help students link up ideas with other pertinent information to help them draw good conclusions and develop confidence in their own skills and ideas. Constant discussion and use of information will help students make judgments, interact respectfully, work as a team, and become a good conversationalist. Tailoring the work to fit student strengths and weaknesses will allow a student to develop well-earned confidence, as well as a good dose of perseverance in a difficult subject, and self-motivation, self-discipline and personal accountability overall. As homeschool parents, many of us need to rediscover the joy of learning, and be able to communicate that to our children. We need to know that we can “journey” along with our children and learn with them – discovering new joys for ourselves. What to do? Make sure you have a solid curriculum for the three R’s, then — find a curriculum that offers joy to you and your family. Take joy in the moments and challenge your student to think – really think — in new and wonderful ways every day! If you talk to anyone about Charlotte Mason, the first thing they’ll mention will be her advocacy of — in her words — “Living Books.” Charlotte believed that a child needed to read books of quality that were written by people who loved their subject matter and brought their subject alive through action and character development. She felt that stories communicated to readers in a way that would excite, be remembered, and induce them to further interest in self-education. You’ll find the wonderful books we’ve chosen will help you toward these goals! Introduce your student to the finer things of life, things of beauty and grace, and you will develop in them a taste for these things and a distaste for things that degrade and sully their lives. Our programs attempt to draw in these aspects to your students’ education, and our four-day schedule allows you time to delve into music and art as a separate pursuit. Narration is the art of “telling back.” To some extent this ability is inborn in our children. From their earliest childhood they tell us what just happened to them, or what their best friend just told them. Often we as parents are guilty of stemming their enthusiasm for relating to us in this way, when in fact, this skill, if encouraged to blossom and disciplined to be a part of their education, becomes an integral part of their understanding and an opportunity for reinforcement. Parents are encouraged to integrate narration into the program along the way as a habit, and we’ve even included different narration ideas for greater variety. A great way to “narrate” is in written form. Notebooking has become popular among homeschoolers as a great way to reinforce student studies. Our “Make-Your-Own” history series and “Timelines in History” are exclusive resources designed to help your student learn the joys of notebooking. Fundamental to Charlotte’s approach is her belief that education needed a proper balance between the discipline of good habits and free time to enjoy. Our daily schedule will help you implement the daily discipline needed to acquaint younger students with the necessity of a habit of study. As students progress, our independent study schedules will allow you to make them accountable to complete their work according to a list for which they are responsible. Finally, high schoolers also have an independent study regime that will build the skills needed to easily move on to more education. And, all of the schedules we’ve created, allow, we believe, plenty of the free time Charlotte advocated. All of our resources are designed to keep you interacting with your student for much of their studies. Time spent cuddling on the couch, reading together, contrasts well with the times you’ll work together to complete hands-on activities, or, as the student grows older, research activities. 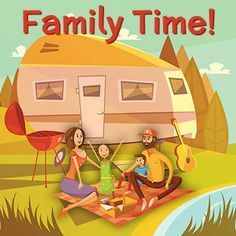 Watching an educational DVD, listening to a music CD together or preparing historical recipes all involve family time … and family memories. WinterPromise is committed to bringing together the perfect balance of resources to keep your family excited, interested, and sane! 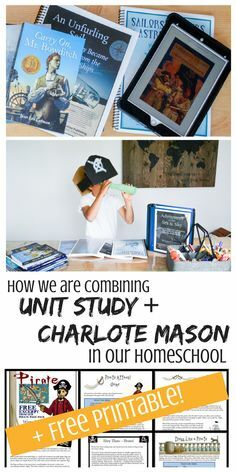 What are the basics of a Charlotte Mason Education? 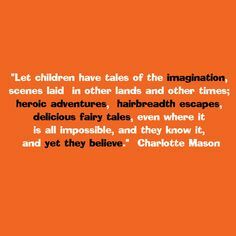 Charlotte Mason was a British educator, who, in the late-nineteenth century, published books on education that were both down-to-earth and practical. Her book, “Home Education,” was innovative and influential to other educators of the time. She fostered the idea that children could be inspired to learn and explore with joy the world around them. Today, many homeschoolers find her ideals are very relevant to their everyday lives and her ideas are practical and inspiring to both parent and child. DO provide intelligent reading in abundance. DO introduce your student to culture and things of beauty — music, nature, poetry, and the arts. DO teach your children to narrate, telling you back about their learning experiences in their own words. Notebooking is a part of narration. DO build habits that shape your child, and teach the discipline of self-education for joy’s sake. DO allow free time to develop as a person instead of a heavy homework load, especially in the younger grades. DON’T teach your student to succeed for the sake of a grade; instead, introduce them to things that capture their interest and they will try their best. DON’T plan on lecture times of teaching; instead embrace learning together with discussion, experimentation, and narration. We all wish our children to be well brought up, and when we have come to understand what that means, we know that we need to go beyond simply fitting the child with the basic skills to make a living . . . First and foremost in importance is the power to live the life God has given in the way God intended. In order to have this power, a person must be at his best in his heart, mind, and soul. He must know how to choose good and how to refuse evil. We, as persons, are not enlightened by means of multiple-choice tests or grades, but rather by the other people in our lives that we have come to know, admire, and love… Children are inspired by relationships, and this helps form their personalities. And so, throughout their educational life, we put them in touch with persons, places, and things…When you give your child a Charlotte Mason-style education, you will be endowing them with the substantial things of our culture, and their interest in these things will naturally spill out, like a cup running over, into their leisure activities, even as they enter adulthood. Children have the same needs as an adult — to have meaningful work that excites and motivates them to achieve more and more. Charlotte believed that traditional educational systems — designed for demonstrated success through testing — denied children the opportunity to grow in their souls. Education should strive to introduce a student to that which expands their knowledge and understanding of the world in a way that shapes them to be the person God intended them to be. What is the Experience approach? WinterPromise is so unique, we’ve come up with a new term to describe what learning approach we embrace. WinterPromise is more than a unit study, more than a literature program, and even more than Charlotte Mason. We are in fact all of these, and more besides. We utilize these learning methods and ideas, as well as adding in some workbooks, a flavor of the “classical” method, and integrate technology. In addition, rippling throughout the curriculum are activities based on “Multiple Intelligences” research. In essence, we’ve taken the best of all these approaches and left behind the downsides. The result is a cohesive “mosaic” of learning, a multitude of “Experiences” — many different small pieces that together form a wonderful learning opportunity and a chance to build your family culture and make some memories! This “Experience Approach,” then, relies on wonderful literature, fantastic do-able activities that support intelligences goals, repetition that is exciting (not simply repetitive! ), and a “joy of learning” approach. 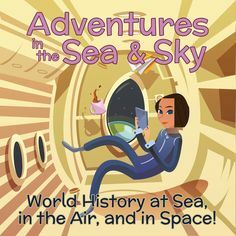 Going inside books of quality to ride the seas or blast into space! Delving into experiments that demonstrate a truth about the world around them. Trying craft or building projects that use what they’ve learned and reinforce it in their minds. Observing nature around them and recording what they see. Completing interactive notebooking pages that reinforce daily learning. Engaging in directed play that supports learning goals — like building a pyramid tent or fighting an Israelite battle. Learning important dates and their significance through games played with our own timeline cards. Involving themselves in community or ministry service that reinforce what they’ve learned and give them a heart for lifelong self-sacrifice. Creating their own works of art and studying the works of great artists that have gone before. Listening to music of the period. Building topical, event or place maps that help history unfold and reinforce important facts in history. Watching documentary films that really take you “there” in history or science! Completing easy-to-use, well-illustrated or colorful worktexts. Coming up with their own innovative ideas and seeing how well they work. Learning Bible truths, and then putting them into practice with service ideas or prayer journaling. Experiencing various media online, like listening to a radio drama or meeting a Dust Bowl family. Building a timeline of their own, and even adding their own art, reports, and even field trip photos and memories to it! To help you remember the core of what we are, just remember the “Experiences” form a “Mosaic” of Learning . . .